We got the chance to sit down and chat with Miss Alaska about her journey to the Miss USA competition, how she remained calm on the big stage, and why she's out to encourage others to go after their dreams even if it's years in the making. 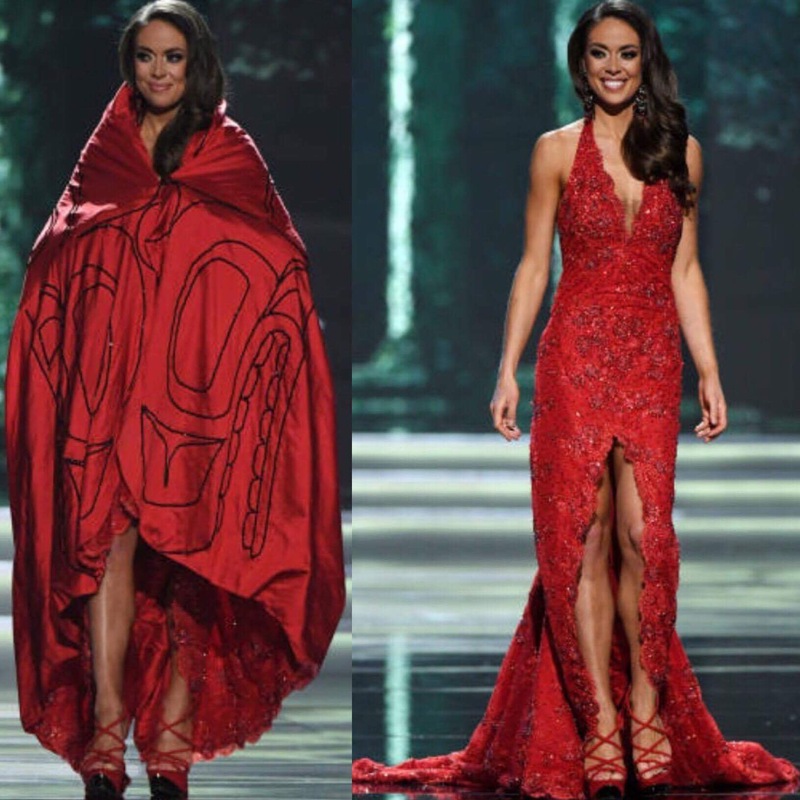 When I first talked with Alyssa London –the first Tlingit woman crowned Miss Alaska– it’s the day after the Miss USA competition. I tell her how I watched her on tv with no distractions, and how I even teared up when she walked out on stage in her custom gown that featured her Tlingit culture for all to see. She was beyond to humbled to hear and see how much support she had from different Native communities all over the country. London was even more gratified to know that despite not winning the ultimate title of Miss USA, she was a positive role model like the ones she used to watch on tv years before. It’s been years in the making since she’s set out to inspire and empower others. She participated in her first pageant when she was only 17 years old, where she wore a traditional Tlingit robe. She’s a successful media personality and an entrepreneur who’s goal is to promote Native-owned businesses. London also knew it’d take hard work and determination to get to the pageant, which didn’t deter her at all. I wanted to get to know this amazing woman, who saw the Miss Alaska pageant as a platform to make a difference, who used her time in the spotlight to bring attention to a little part of her home community. London is an enrolled member of the Central Council of Tlingit and Haida Indian Tribes of Alaska and is of the Eagle moiety and Killerwhale clan. London’s Tlingit name is Yáx̱ Ádi Yádi which means “precious child”, and was given to her by the late tribal leader Clarence Jackson. A graduate of Stanford University, London is a business entrepreneur, motivational speaker and media personality who’s devoted herself to the culture, art, and economic development of indigenous people. She’s founded Our Culture Story, a business that brings awareness to the vitality of Alaska Native cultures through storytelling and selling artisan pieces. London is also a Cultural Ambassador for, a shareholder and former Sealaska Board Youth Advisor at Sealaska Heritage Institute. After college, London competed in three pageants in the Miss America local system, where she met friends who she supported when they competed on the national stage. 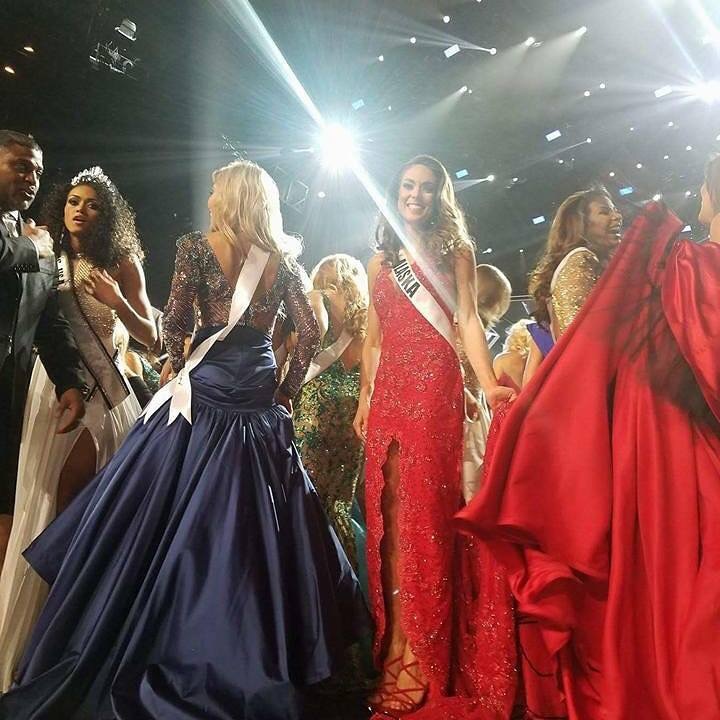 “Just about a year ago, I was in Vegas to support my friend Kelsey Schmidt as she competed at Miss USA 2016 as Miss Washington 2016,” London says. For some pageant queens, preparation starts the first week of the Miss USA competition, but for London, she began preparing every day from the moment she was crowned Miss Alaska on February 4th. “I trained every day with CBTraining Online. I worked with a runway coach in New York and a pageant interview coach in Seattle.” She then linked up with Los Angeles-based gown designer Joey Galon, who designed her interview red jumpsuit, and eye-catching evening gown. “I fundraised within my community to cover the costs.” I guess you can say it takes a village. At first, London didn’t realize the amount of support she had, but the overwhelming feedback and positive comments she received, saw and felt from around Indian Country were amazing. “It felt incredible. I am so grateful for the support of not only Alaska but Indian Country. While reading all the comments and seeing the support online, I felt a lot of love and that my expression of my pride in my heritage and identity as a Tlingit woman was inspiring others and making an impact.” London now has so much gratitude towards the Native community and appreciation for the support, which inspires her even more to become a voice for change.